PORTLAND – One of the best ways to avoid big innings is to retire the leadoff batter. On Thursday night at Hadlock Field, the Sea Dogs ran afoul of that baseball adage, with predictable results. Not until their eighth opportunity and second reliever did the Sea Dogs retire the first batter of an inning against the New Hampshire Fisher Cats, who left town with an 8-2 Eastern League victory before a crowd of 6,119 on a quiet night at Hadlock. The Fisher Cats took 3 of 4 from the Sea Dogs, who lost for the fifth time in six games and dropped two games below .500 to remain in fifth place in the Eastern Division. The sixth-place New Britain Rock Cats, who are 39 games below the break-even mark, are due in town today for a four-game set leading into the All-Star break. 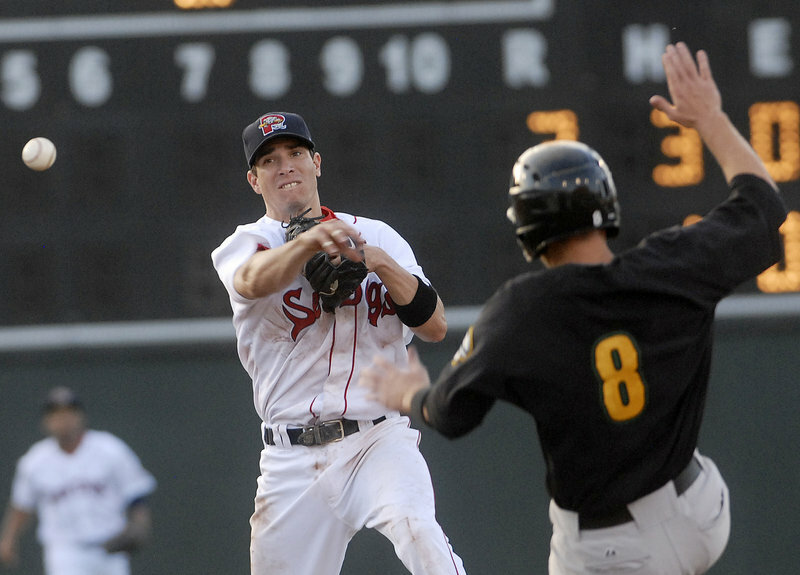 David Cooper, a 2008 first-round draft pick of the Toronto Blue Jays, homered twice against Sea Dogs starter Jeremy Kehrt, who left with two outs in the fourth after an unusual outing in which he walked six batters, more than in his previous three starts combined. Cooper’s first homer led off the second and made it 3-1. His next came in the third with two outs and two on and gave the Fisher Cats a 6-1 lead. Kehrt (1-6) relies on a sinking fastball that produces a lot of ground balls. Thursday night, he walked the game’s first batter, league-leading base stealer, Darin Mastroianni, on four pitches. The Sea Dogs got a run back in the first on a sacrifice fly by Luis Exposito and added another in the fifth after Matt Sheely led off with a double and scored on a pair of groundouts. They also played impressive defense, twice turning double plays with the speedy Mastroianni at bat. Third baseman Ray Chang started one of those double plays after a diving stop to his left. Earlier, he took away an apparent double with a dive toward the bag to one-hop a sinking liner and scrambled up in time to make a successful throw to first. That would be New Hampshire starter Rey Gonzalez, a 2009 Eastern League All-Star who broke camp this spring with Triple-A Las Vegas. 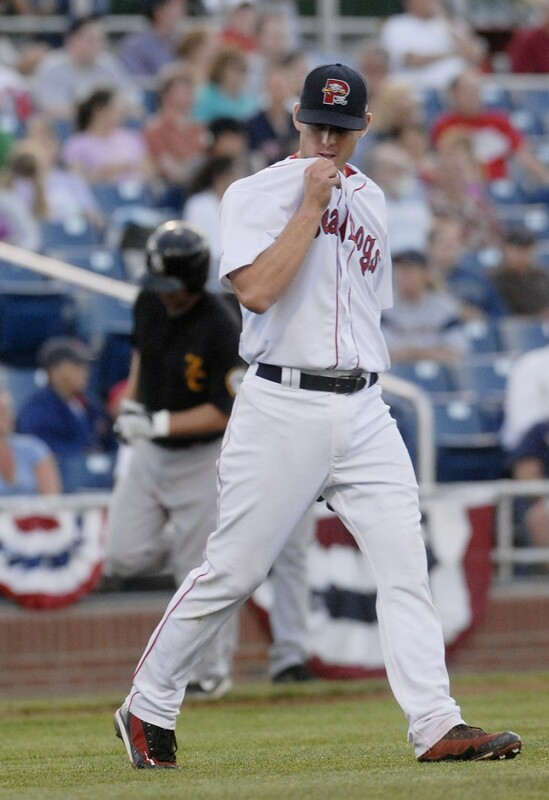 He held the Sea Dogs to six hits in seven innings, walking two and striking out three. Sheely and Yamaico Navarro each had two of Portland’s seven hits. Nate Spears singled in the first inning after going 4 for 4 Wednesday night. Gonzalez finally got him on a comebacker after a nine-pitch at-bat in the third. Spears had reached base seven times in a row. Fans attending tonight’s game are encouraged to bring clothing, books or other household items to donate to Goodwill.